Established in 1932, Frank Chervan, Inc., is one of the largest independent manufacturers of quality furniture frames in the country. 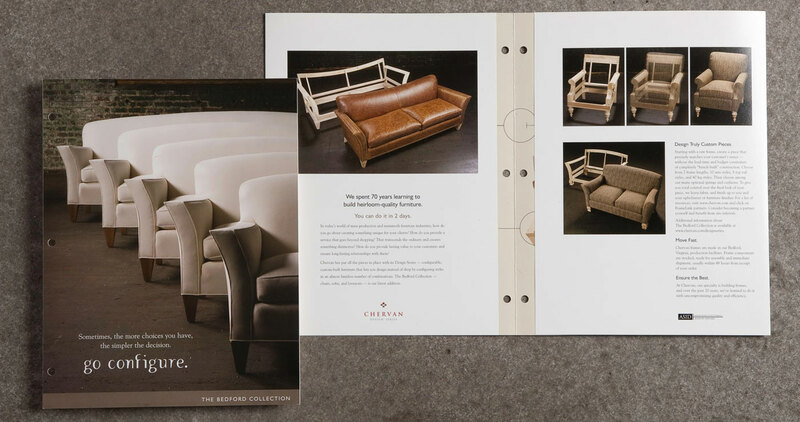 When Chervan decided to promote their products directly to interior designers, they invited Frankl Creative to develop a sophisticated marketing campaign for their new venture. 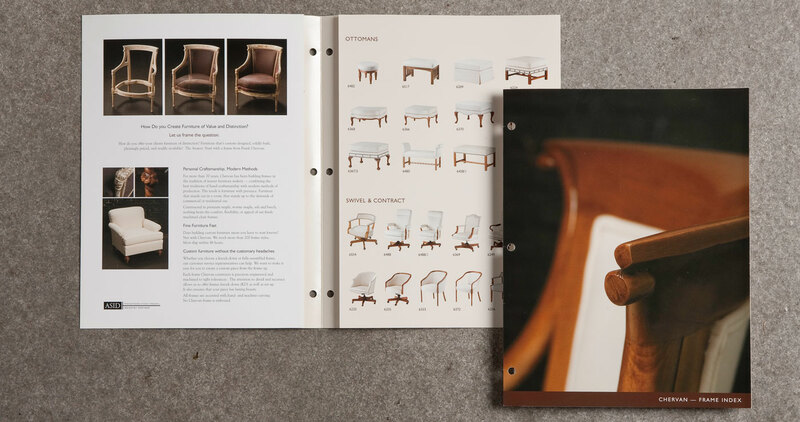 Liz researched her audience and created a targeted effort that represents the stunning aesthetic and exquisite craftsmanship of Chervan’s products in terms that resonate with interior designers. Liz’s chic Design Series logo, custom binder and print collateral produced greater than anticipated and immediate results. “Frankl Creative is a vital part of our marketing efforts, and their work has shown significant results and helped us grow this important segment of our business.” — Greg Terrill, President Frank Chervan, inc.